The National Review: Pelosi & Co. Talk Abortion In his September 9 remarks on health care before a joint session of Congress, President Obama said: "And one more misunderstanding I want to clear up: Under our plan, no federal dollars will be used to fund abortions." Commentator Dorinda C. Bordlee disagrees. 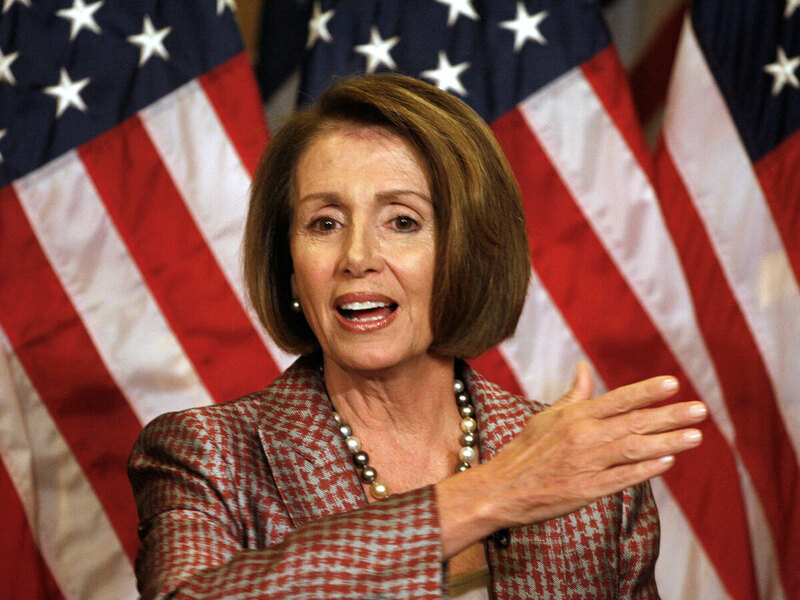 House Speaker Nancy Pelosi of Calif. gestures during her weekly news conference on Capitol Hill in Washington, Thursday, Sept. 24, 2009. It is quite interesting that Tuesday's New York Times features an article by David D. Kirkpatrick titled "Abortion Fight Complicates Debate on Health Care." What's there to fight about if there is indeed no government funding of elective abortion? After all, in his September 9 remarks on health care before a joint session of Congress, President Obama said: "And one more misunderstanding I want to clear up: Under our plan, no federal dollars will be used to fund abortions." That statement was one of the many times that the president has claimed that reports of government-funded abortion in pending legislation are among the many "fabrications" being spread by "people who are bearing false witness." Perhaps the president should do a bit of self-reflection before accusing those of us who actually read the bills of violating one of the Ten Commandments. Even the independent Factcheck.org at the University of Pennsylvania confirms that it is the president himself who is doing the fabricating: "Despite what Obama said, the House bill would allow abortion to be covered by a federal plan and by federally subsidized private plans." Tuesday's New York Times piece reports on a recent telephone call from President Obama to Rep. Bart Stupak of Michigan, a leading Democratic abortion opponent, who has commitments from 40 Democrats to block the health-care bill unless they have a chance to include restrictions on the use of government subsidies to pay for abortion. After the president called, Nancy Pelosi agreed to meet with Representative Stupak to discuss his proposals for the first time, as confirmed by Speaker Pelosi's office. If they're not seeing the light, the president and the speaker at least are feeling the heat. The current proposals embrace the fallacy that abortion is health care. In reality, abortion is the opposite of health care it destroys the life of a unique and unrepeatable human being, and it endangers the physical, psychological, and spiritual health of women who have paid the price for this exploitive practice for far too long. The details of the abortion funding and end-of-life counseling and rationing schemes are outlined on our website.